In honor of World Theatre Day, we’ve put together a chart for you to discover your true theatre identity. Are you a Sir Felix Fox? Or a Coco Von Winters? 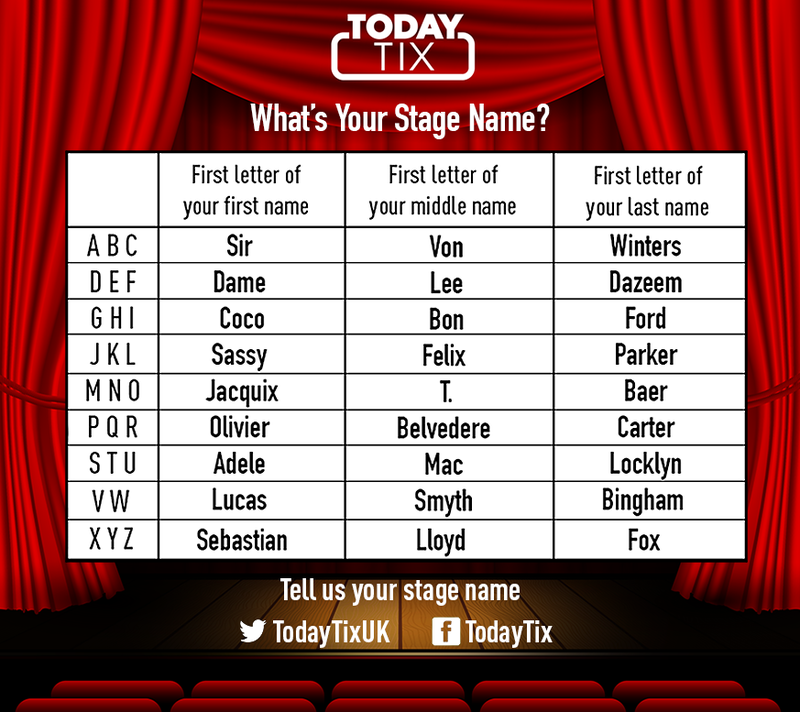 Share your Stage Name and tweet us @TodayTixUK to celebrate!